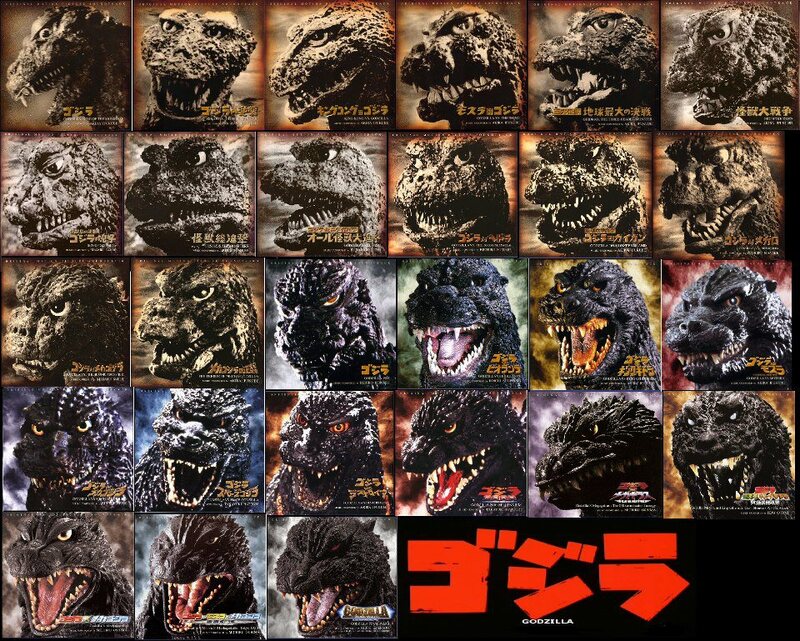 1) If It Ain’t Broke, Don’t Fix It – Sure there have been different Godzilla designs over the years, some have ears, some have bigger eyes but they’re all still recognizable as Godzilla. Dean Devlin and Roland Emmerich got their hands on the property and the first thing they do is redesign the big lizard until he’s virtually unrecognizable. People went to the theater expecting Godzilla and they got Iguana Don instead. Emmerich and Devlin’s reasoning for this was to make Godzilla look more realistic. Apparently no one told the two of them that realism isn’t high up on the list of things the audience needs to enjoy a kaiju flick. This time around Gareth Edwards stuck with the basic design that all Godzilla fans know and expect, the upright lumbering hulk with a mouth full of white hot nuclear anger! 2) Take It Seriously – The idea of a giant mutant dinosaur walking around knocking down buildings is obviously a ridiculous one. It’s not ridiculous however to the people experiencing it, the characters in the movie. Godzilla ’98’ was full of one liners and silly moments that took you right out of the film. If the characters aren’t afraid of Godzilla, then the viewers certainly aren’t. The only way for kaiju movies to work is if the people take the threat seriously. Who cares if you can see the strings on Mothra? She’s real to the people running away in terror. 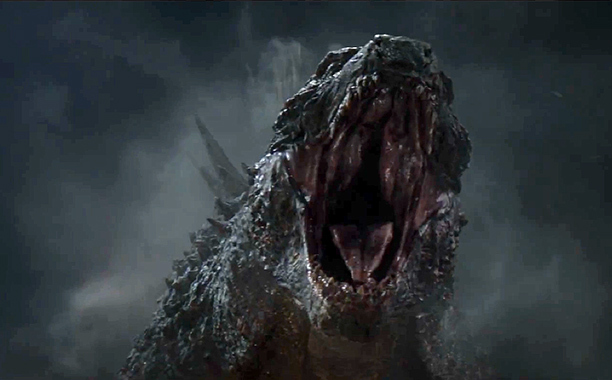 Godzilla ’14’ treats its monsters with the reverence they deserve. By utilizing low camera angles and POV shots, Edwards conveys the very real terror mixed with awe that these people would be feeling in real life. 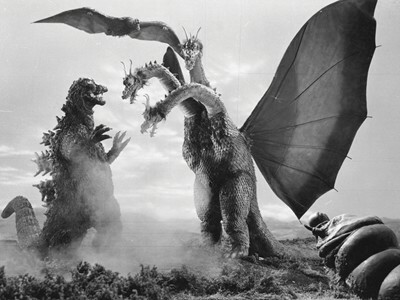 3) Give Him Someone To Fight – 1954’s Gojira (released in America as Godzilla King Of The Monsters) was a solo affair. A parable about nuclear weapons, Godzilla himself was a metaphor for the bomb. 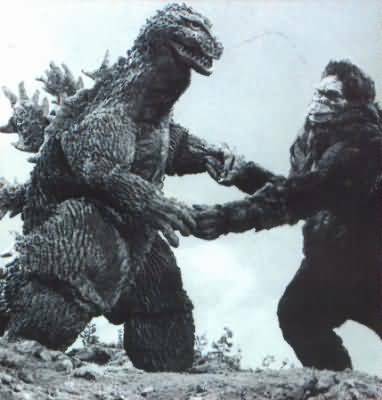 However starting with Godzilla‘s second appearance in Godzilla Raids Again he’s always been paired up with an adversary, sometimes two or three. The only exception would be Godzilla 1985, but even then he fights the Super X military plane. People want to see Godzilla fight. Tearing through buildings is great and all but not as great as titanic beasts throwing each other through those same buildings. That isn’t to say that having Godzilla engage in a kaiju battle royal would have saved Godzilla 1998, but it may have made it more fun. The new Godzilla introduces the MUTO’S, two prehistoric parasites that give Godzilla a run for his money in some spectacularly rendered fight scenes. No spoilers here but let’s just say that the way Godzilla takes one of them out may be the single most badass move Godzilla has ever displayed on screen. Next to dancing with King Kong that is. 4) Let Us Root For The Big G – Godzilla has played the bad guy in plenty of films but he’s at his best when he’s on our side. This doesn’t necessarily mean he has to be the hero, just the lesser of two evils, or three. Godzilla ’14’ sets Godzilla up as an “alpha predator” whose only goal is to bring down any other monsters threatening his territory. Godzilla ’98’ only sparks sympathy for the viewers who wasted $10 on ticket. Seriously, couldn’t you just punch that face? It’s so punchable! Gareth Edwards managed to make a big budget Godzilla flick without losing any of Godzilla‘s low budget charm. 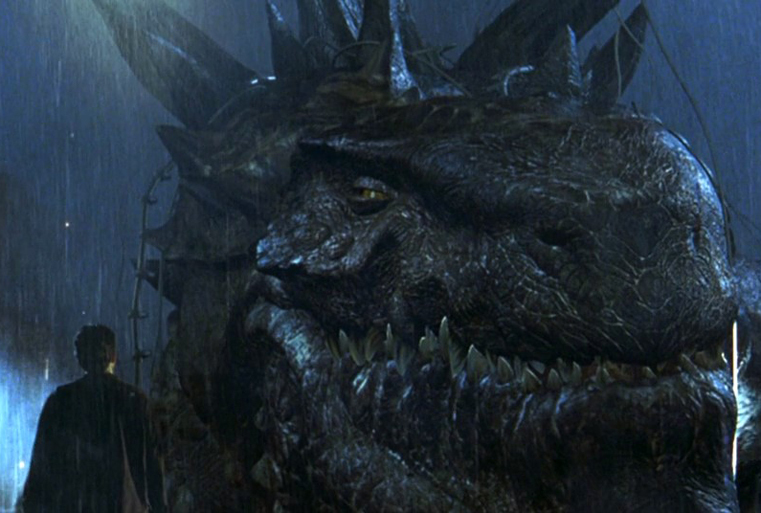 Edwards proved that someone outside of Toho understands what it is people love about the giant lizard and it should be interesting to see where he takes the franchise next. Here’s hoping for a Mothra/Godzilla/Gidorah three way!